Proper maintenance and repair of your vehicle is vital to get the most out of your car or truck and ensure it lasts for years. 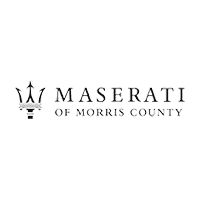 Maserati of Morris County’s Service and Maintenance Department has the professionally trained technicians, parts and customer service to keep your new Maserati or pre-owned vehicle as good as the day you bought it. Schedule an appointment today by filling out the form below or call us at (973) 434-1101. At Maserati of Morris County, we believe in providing exceptional service that is reliable and timely. That’s why all of our technicians are highly qualified and certified to work on your Maserati vehicle. From the simplest oil change to the most intricate transmission replacement, we guarantee excellent results and total satisfaction. We’ve made scheduling your service appointment easier than ever. At your convenience, you can fill out our quick and easy online scheduling form 24/7 and we’ll get in touch with you as soon as possible to confirm your appointment. Maserati North America offers Maserati Roadside Assistance throughout the new car limited warranty period on all new Maserati vehicles sold in the USA and Canada. Available 24/7 toll-free at 1-888-371-1802, the program provides transport to the nearest authorized Maserati dealership when necessary. If overnight warranty repairs are necessary, limited rental reimbursement may also be provided through the program. If you would like to receive more information on the Maserati Roadside Assistance Program please contact us.